A nutritional supplement to aid a healthy central nervous system and support brain function in older dogs, Aktivait helps to avoid free radical damage and promotes brain signals. 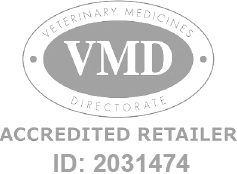 Aktivait Capsules for Small Dogs is a Prescription Only Veterinary Medicine and by law requires a prescription from your vet. Aktivait comes in a capsule which can be opened and mixed with food, or given whole to your dog. For optimal results, Aktivait should be given as soon as any signs of cognitive decline are seen. It can also be given to dogs from middle age onwards to help maintain normal brain function.